If there’s one thing SPRYTE is good at, it’s generating great earned media results for our clients. But what becomes of those terrific stories after they appear? In days gone by, an article would run in a paper or magazine, (hopefully) be seen by thousands or maybe millions of readers, then get relegated to the recycling bin or bottom of the proverbial birdcage. The agency or client might add the clip to a digital archive, to trot out when someone asked for it down the road. More savvy organizations might get reprints made and add them to their marketing materials. As those stories accumulate, your SEO results will likely increase too. If you’ve read our prior blog on getting backlinks, you’ll have had success in getting journalists to include links to your organization in the online version of stories. According to Google, a whopping 99.2% of sites that show up in the top 50 search results have at least one external link. The more earned media hits you receive, the more valuable links back to your site from legitimate news sources…and the more your credibility will rise in the eyes of Google and other search engines. SPRYTE, like most agencies, has always merchandised our media results for clients, but our clients have become more and more interested in merchandising them to their own audiences, whether those are patients and prospective patients, employees/doctors, prospective partners and affiliates, franchises or the general public. And we’re very happy to help, by providing new introductory copy, writing social media posts, or securing digital reprints. Post the article on your organization’s website, either on your dedicated “In the News Page” if you have one, or your home page if the story merits marquee treatment. You can include a thumbnail, a link to the original source, or a readable image. E-mail a PDF of the article with a cover note to your marketing list, or consider snail-mailing hard copies with a cover letter or handwritten Post-It note (“I just wanted to make sure you saw this great article…”) to particularly hot prospects. Include the article link or the entire article in your organization’s internal newsletter. Share the article link on all your social media channels, and encourage your employees or employee-ambassadors to share or post it on their personal feeds as well. If you’re a franchisor, like a home care company, provide your franchise owners with a ready-to-use blog or paragraph and link that they can use on their microsites, if available. Make hard copies of the article for hand out at trade shows or expos, or to include in leave-behinds. Enlarge and mount the article on foam board for display at your booth or table. Broadcast stories can be edited together and added to the website, played on a loop in waiting rooms, or shown during expos. 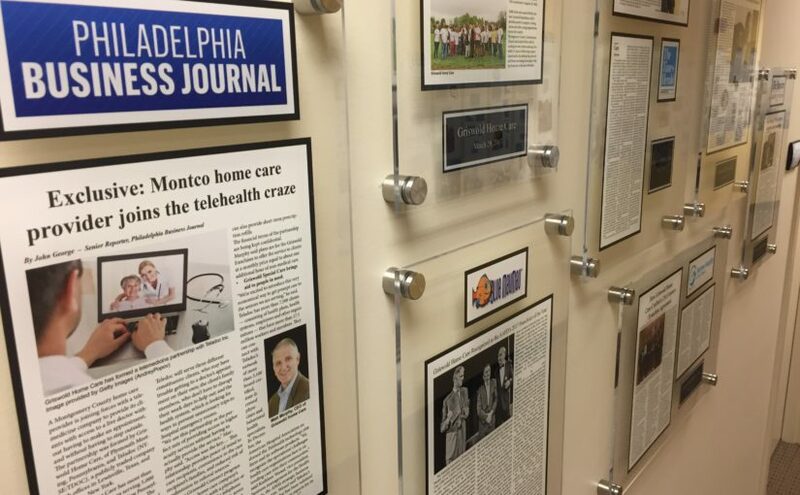 One SPRYTE client was so thrilled with the breadth and quality of coverage we generated that they revamped their lobby wall to create a “Wall of Fame” featuring our greatest hits! A word of caution: check with the article rights holder before mass distributing any story. Linking to the original source is acceptable in most cases, and the Fair Use Doctrine may apply in many others, but as some stories reside behind paywalls, written permission and/or a fee may be required. Many publications also provide official reprints, including the masthead, at a cost. Even if you’re not redoing the décor to highlight media hits, positive articles about your organization should become another arrow in your marketing quiver. Fortunately, there are many avenues to prolong the afterlife of great publicity!